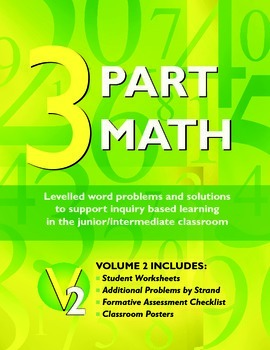 This book is designed to help students enjoy mathematics. 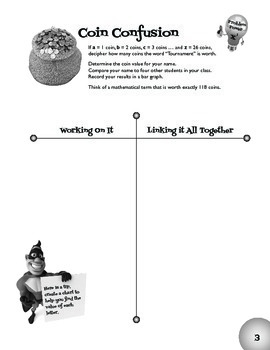 The lessons are intended to promote collaboration through sharing ideas by talking about math. Each lesson allows students to think logically, talk about their ideas, make connections and relate their mathematical knowhow to the concepts being taught in class. Each activity is designed to test and activate critical thinking skills such as estimating, assuming, hypothesizing and making judgements. Since there are many ways to solve a problem, the critical thinking process is in full force while the students offer and defend their judgements about the various solutions. 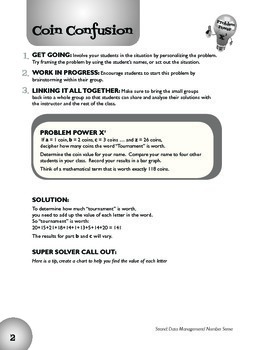 Furthermore, because of the multitude of solutions, students will develop a repertoire of strategies that can be applied to different situations.